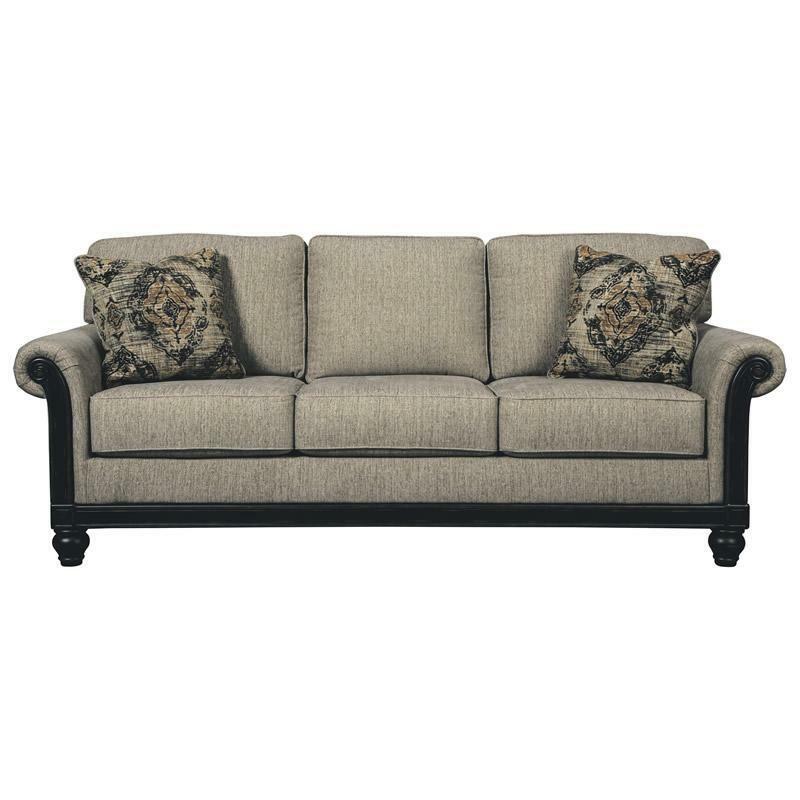 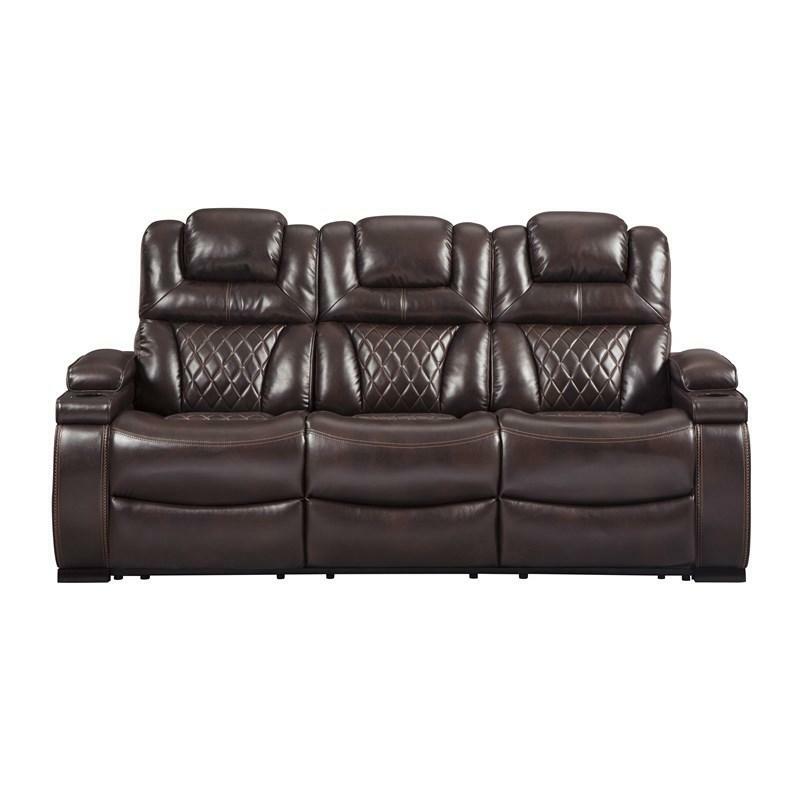 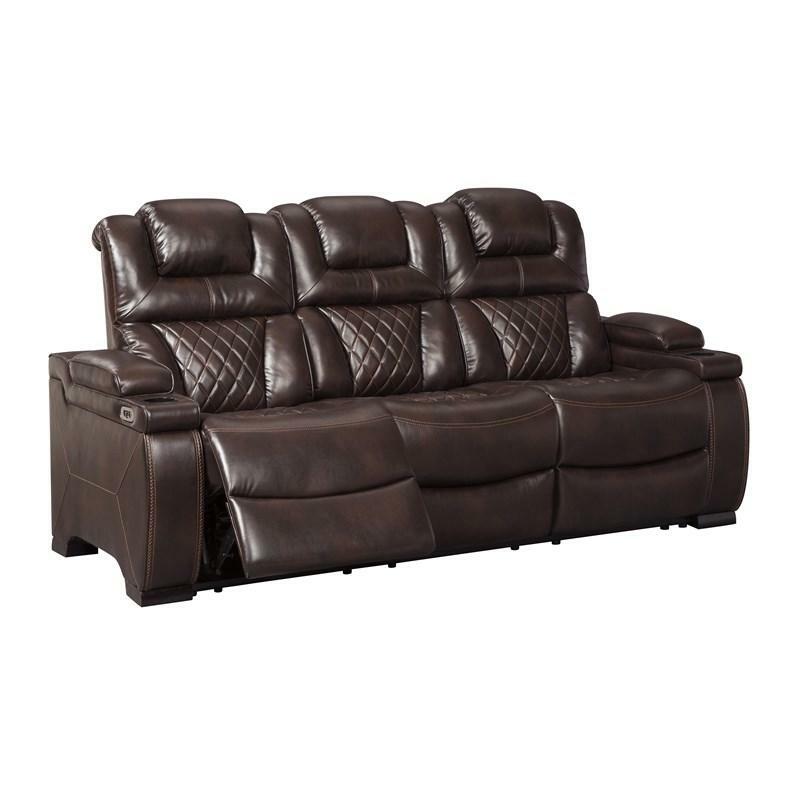 Your modern living room awaits with this Warnerton power recliner sofa. 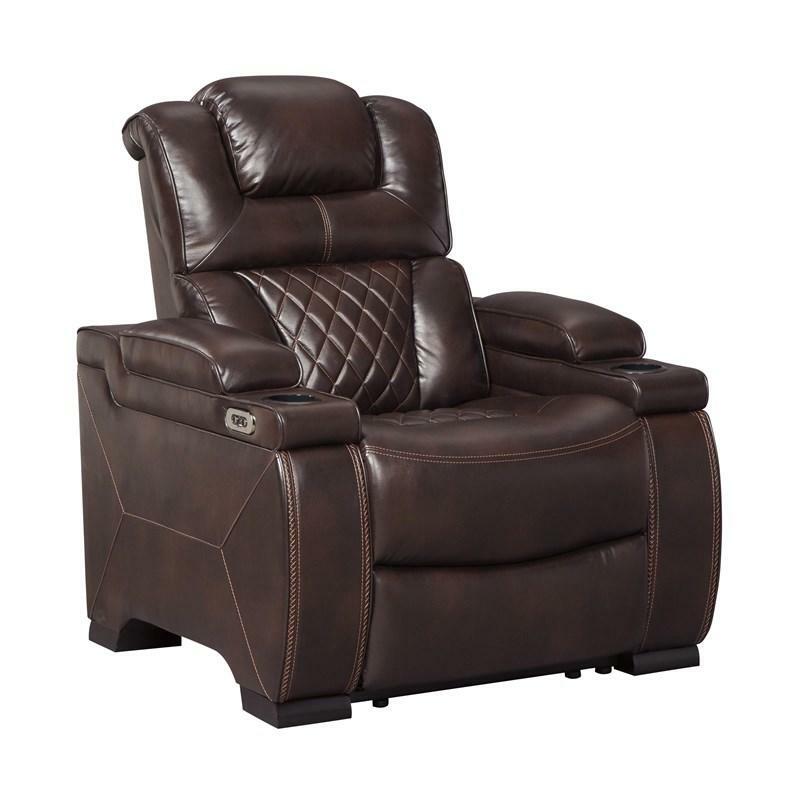 Complete with durable upholstery, one-touch power controls and an adjustable headrest, finding that seated sweet spot is a breeze. 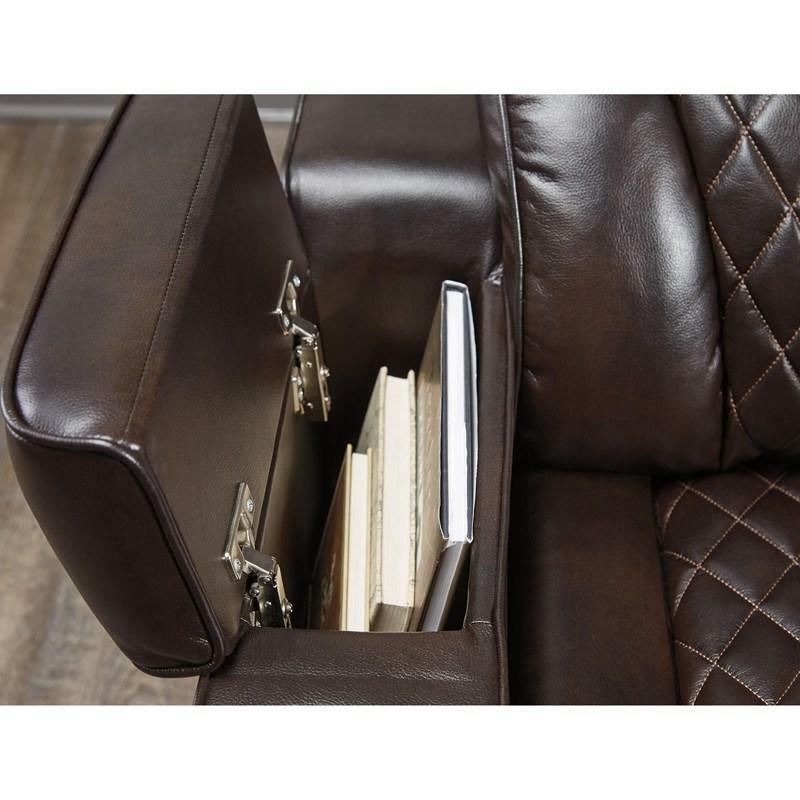 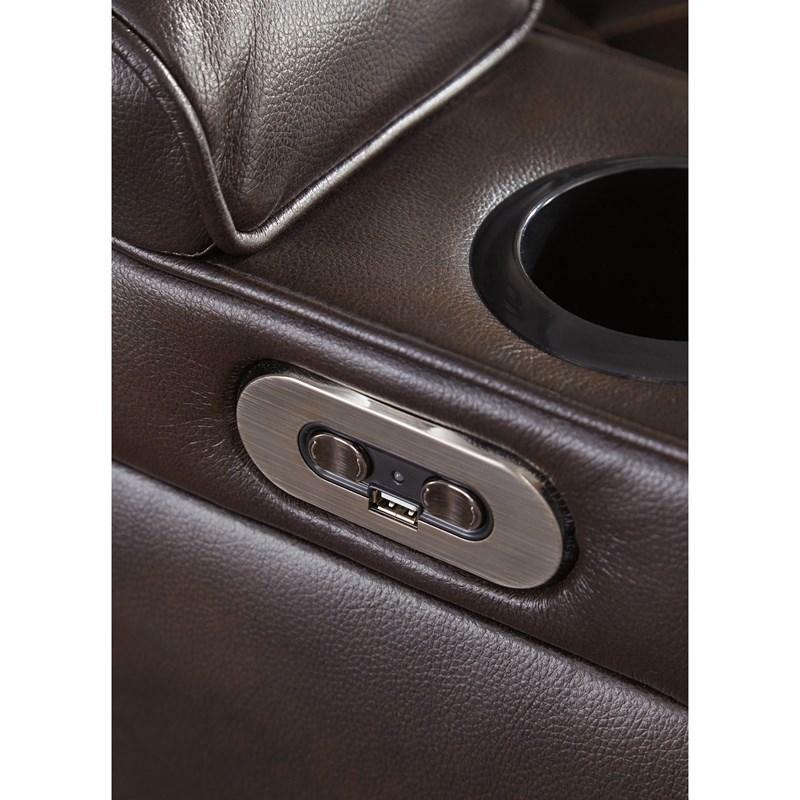 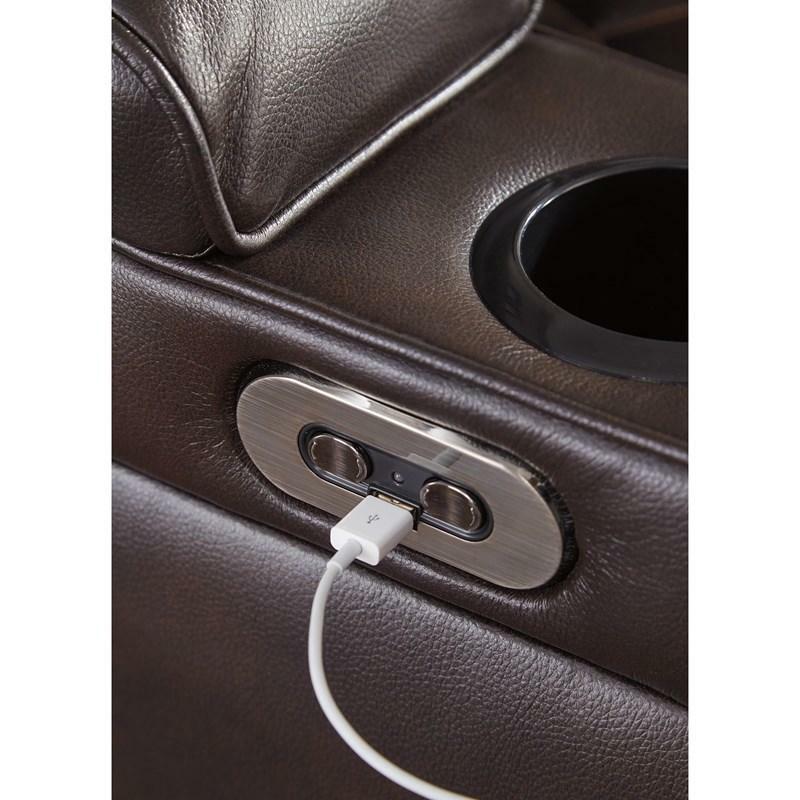 Cup holders and a storage console add to the convenience of keeping drinks, snacks and remotes close by. 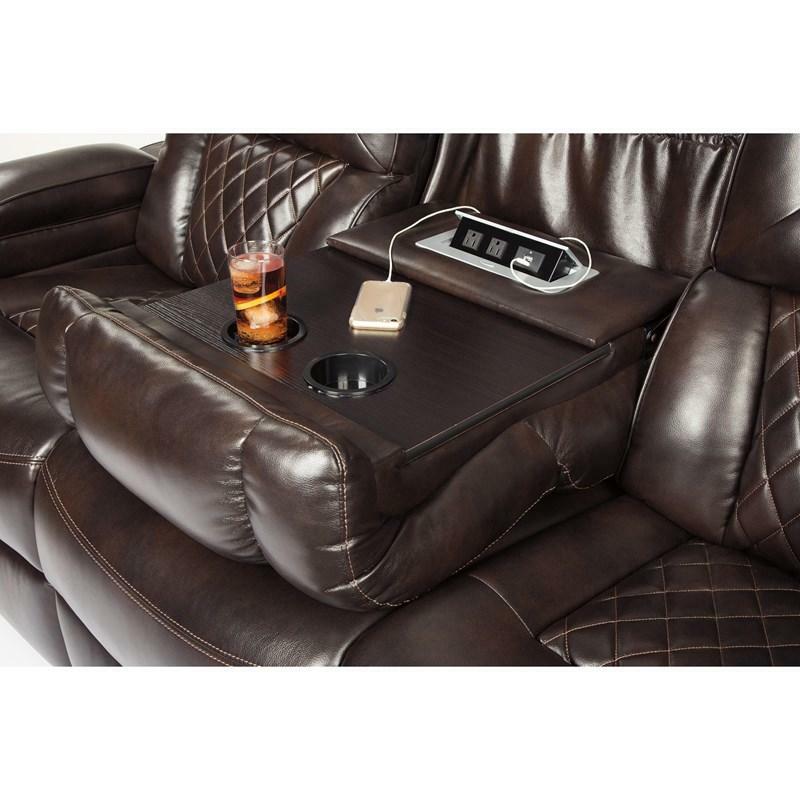 Go ahead—treat yourself. 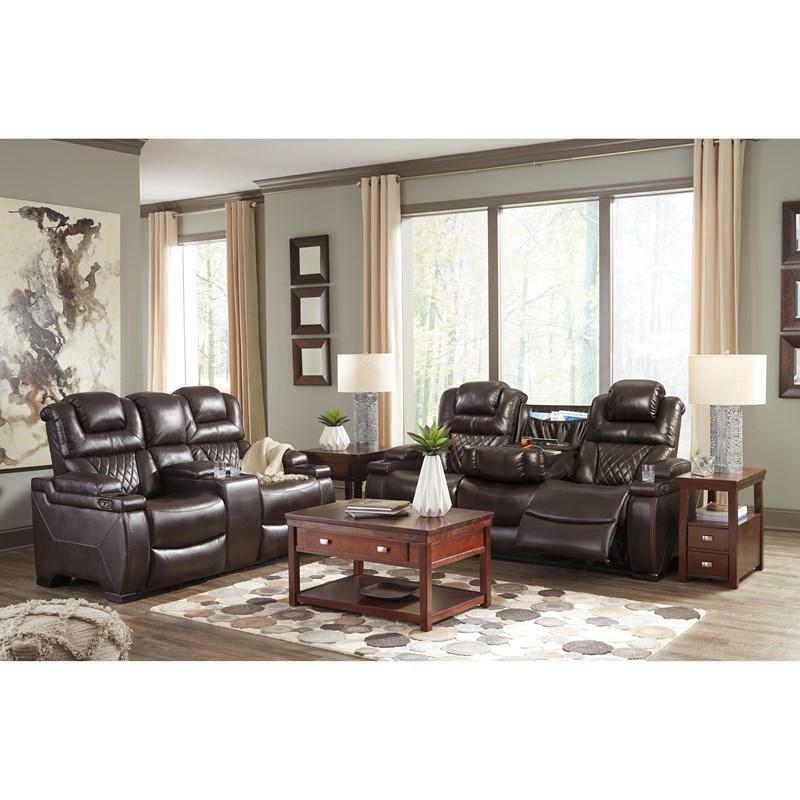 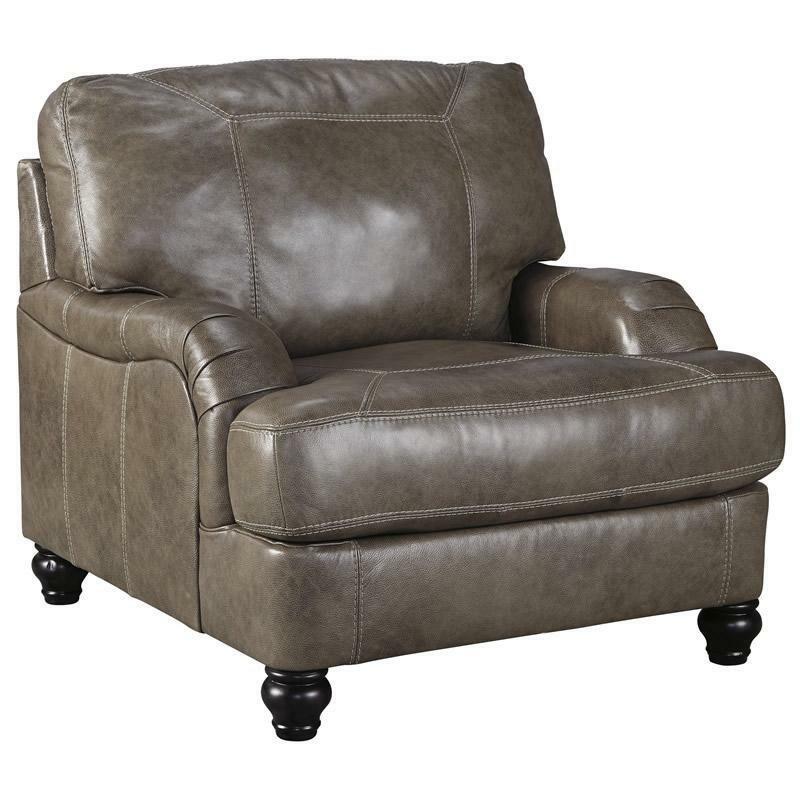 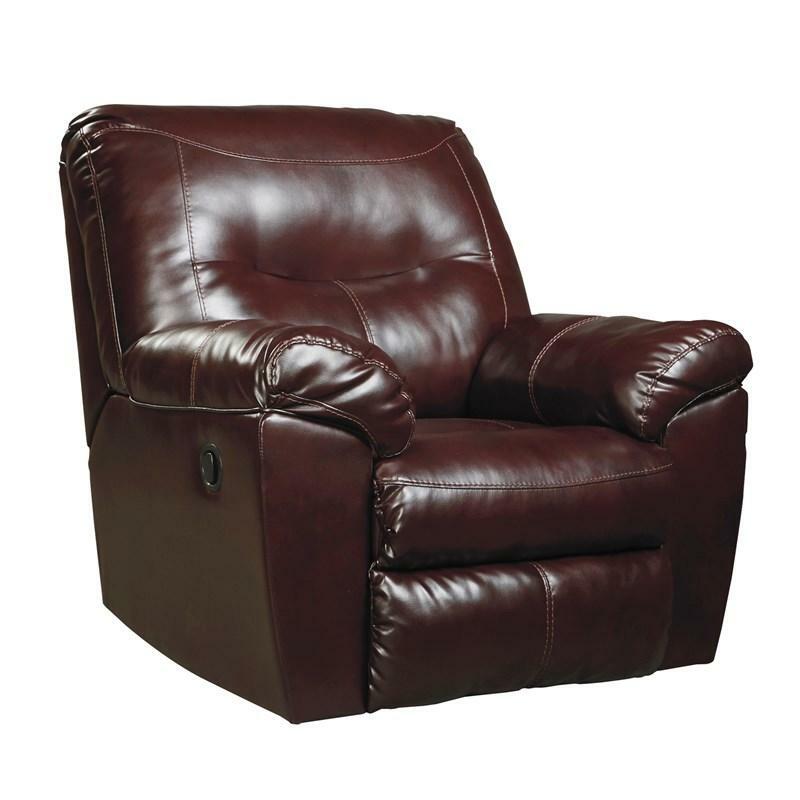 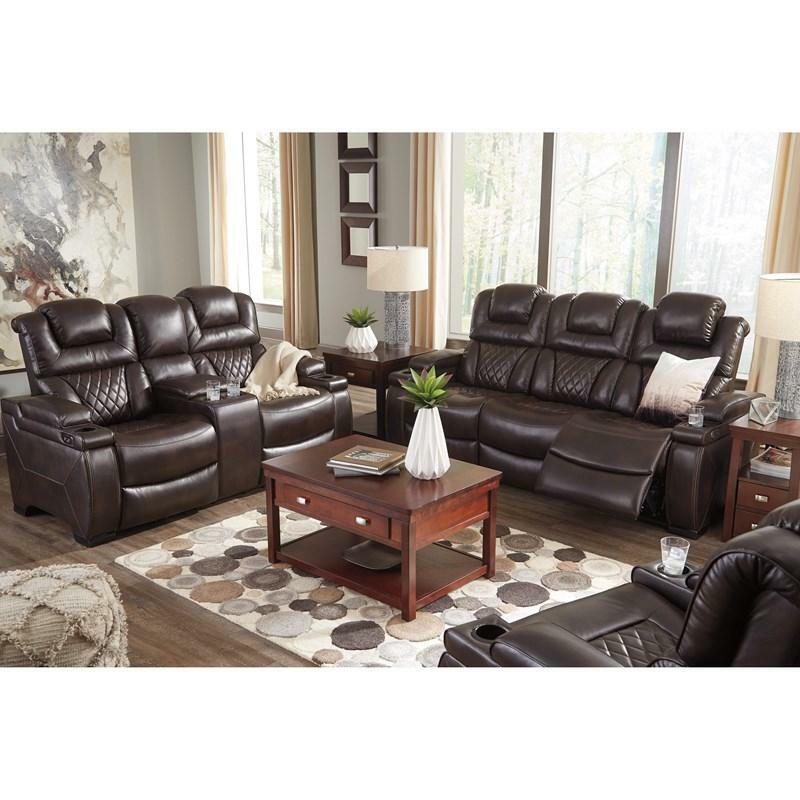 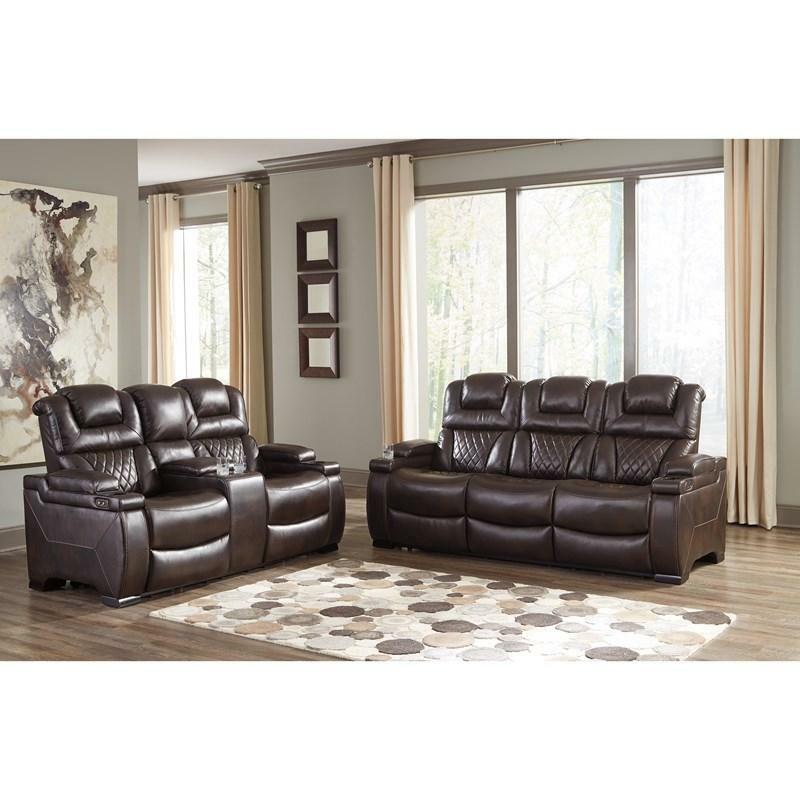 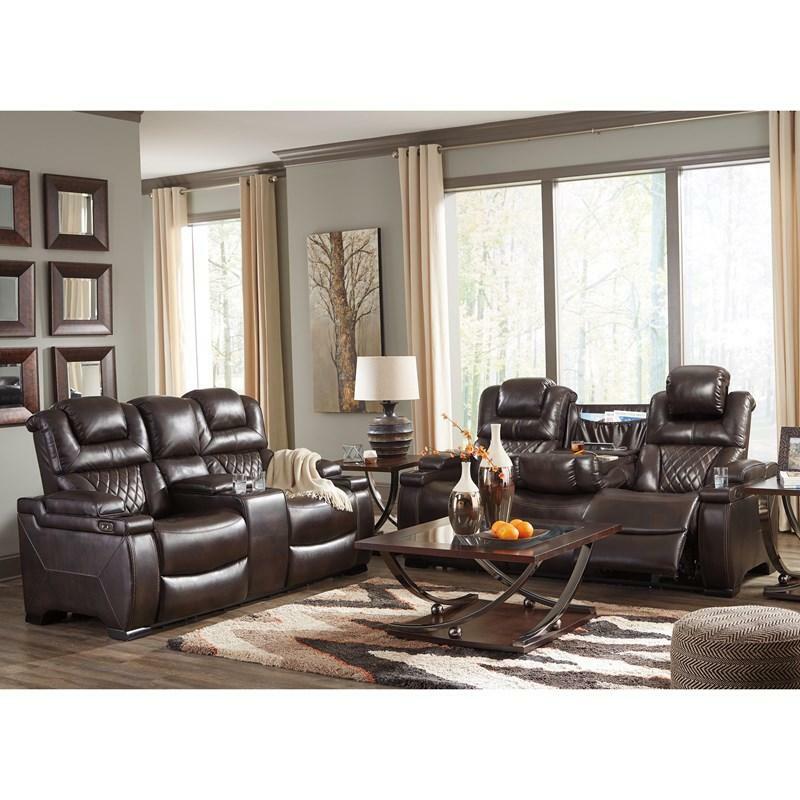 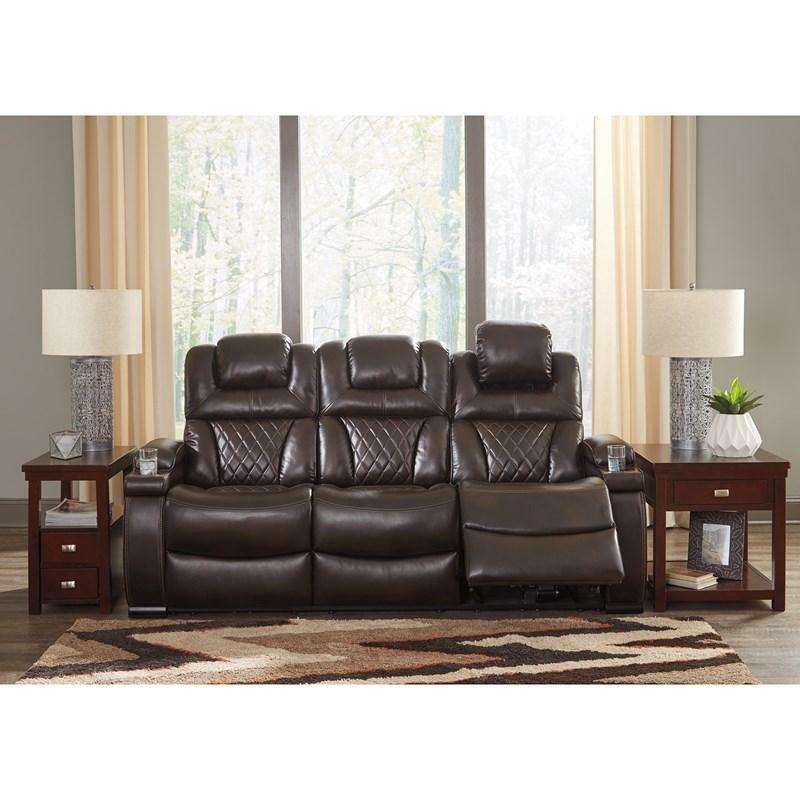 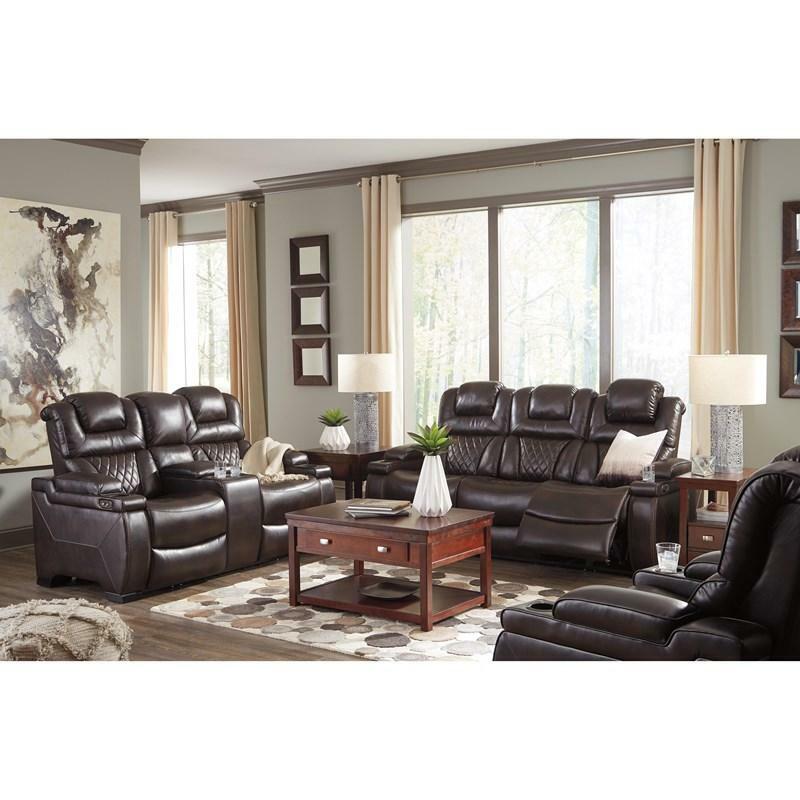 • Distance between recliner and wall: 7.75"
• Fully reclined height: 39.38"
• Fully reclined length: 68.5"
• Top of cushion to top of back: 24.12"
Volume 49.04 cu. 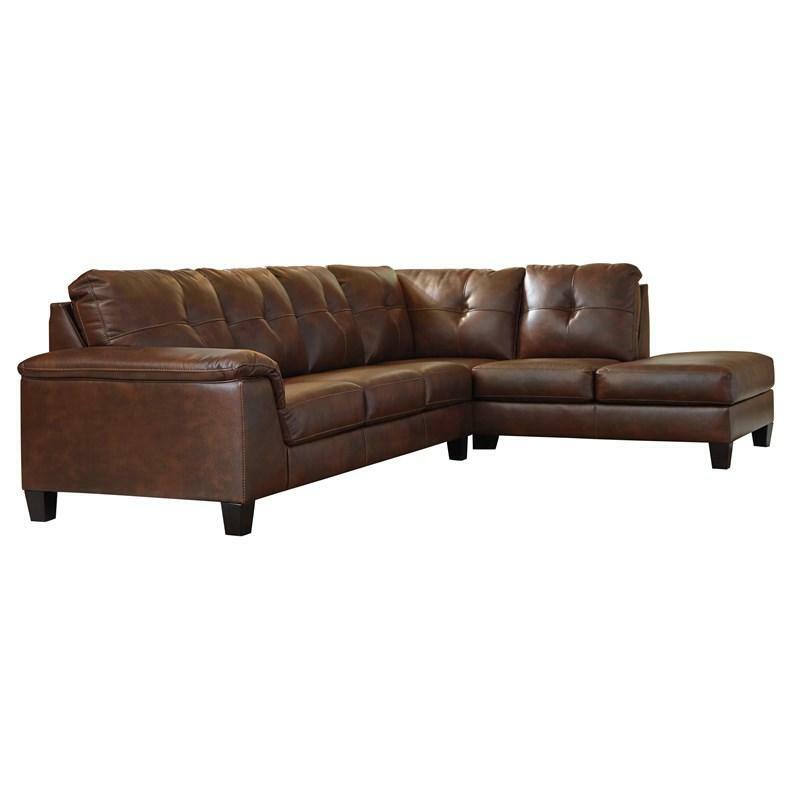 ft. / 1.39 cu. 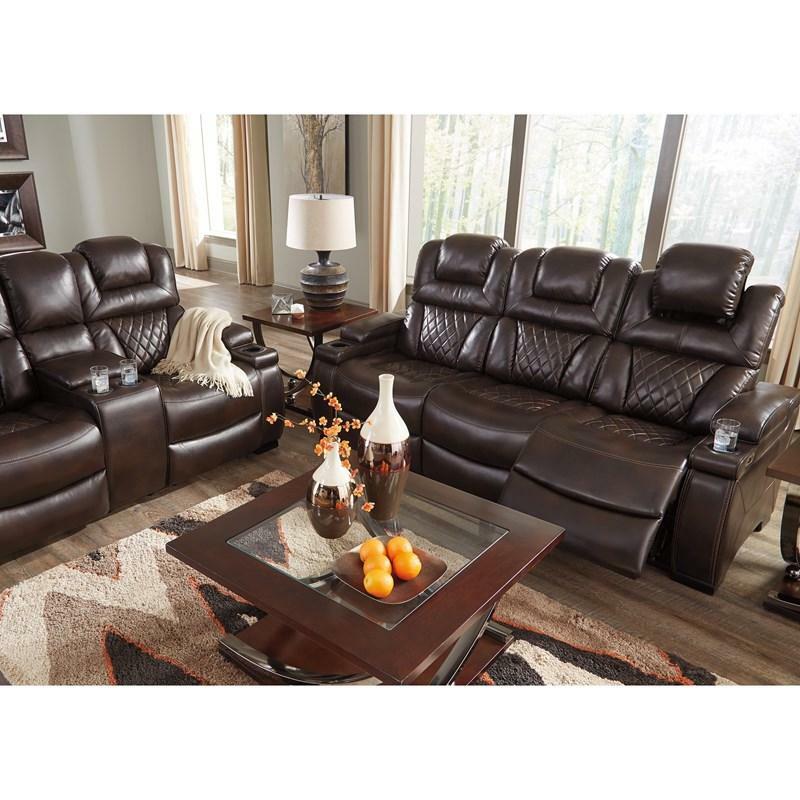 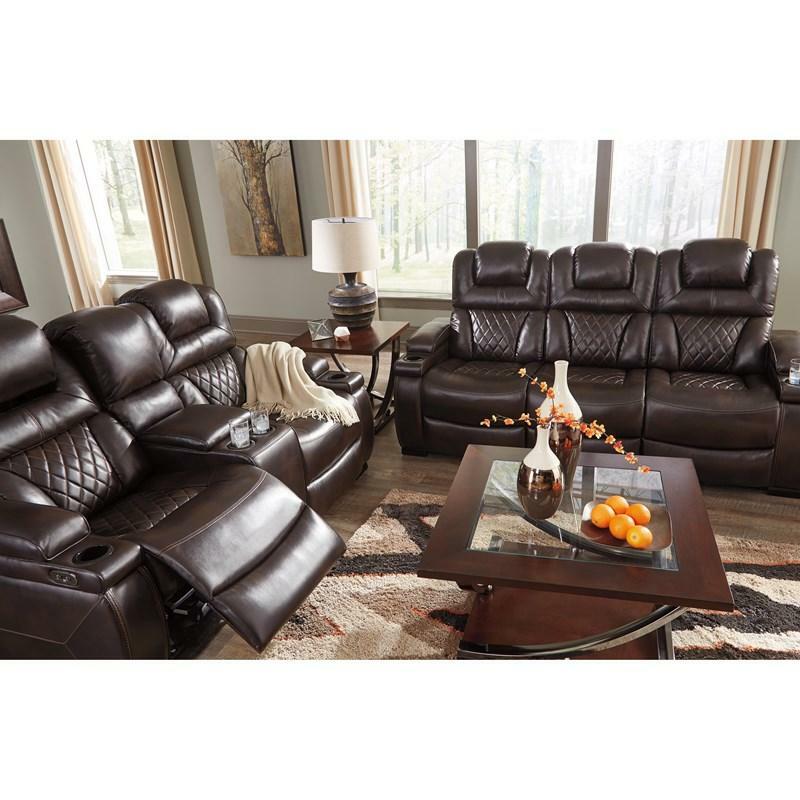 m.
Add contemporary style to your living space with the Goldstone sectional featuring jumbo stitching and tufting. 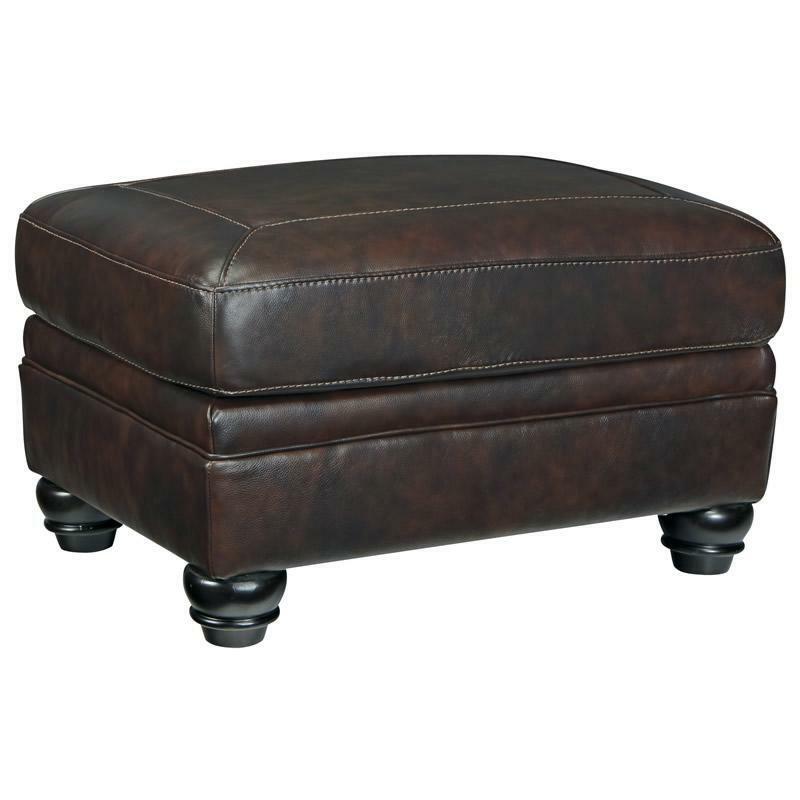 Set your heart on the alluring leather Bristan ottoman from Signatuer Design. 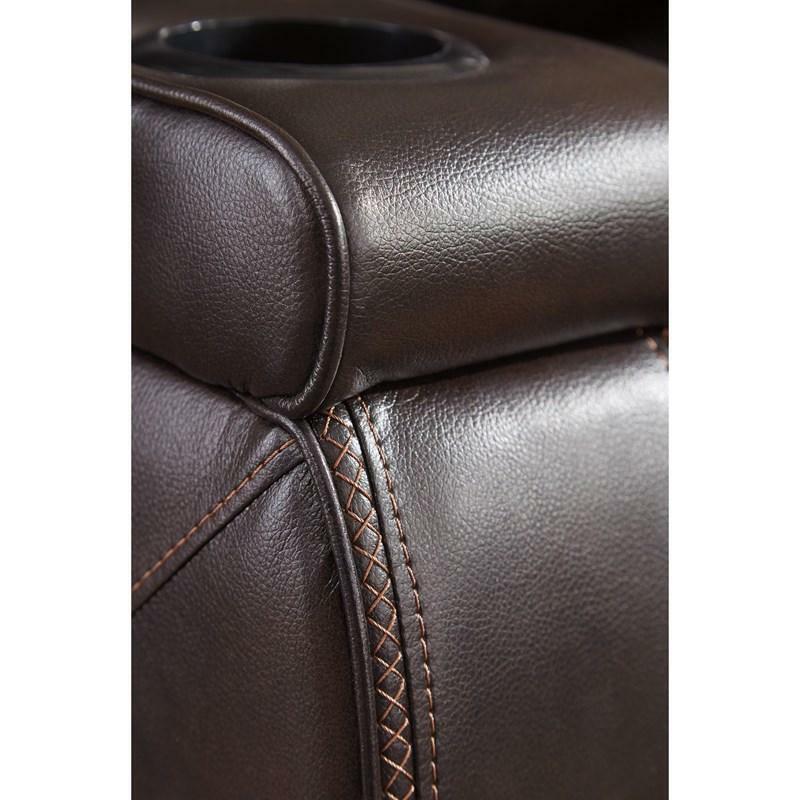 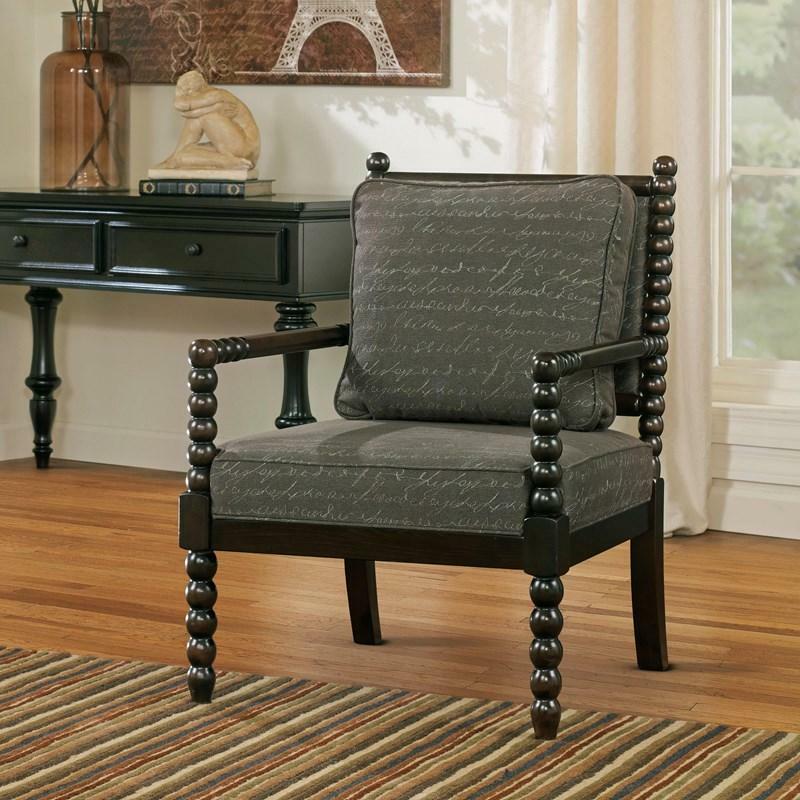 With a blend of natural colors and beautifully jumbo stitched design, this classic accent piece provides the perfect spot for tired feet.